Pastor Medit Sanon was born on May 1, 1971 in Cyvadier, Jacmel-Haiti. Even though his father was a voodoo priest, he found Jesus at an early age when Christ healed him in response to a Christian woman’s persistent prayers. At the age of seven he attended Simone Ovide Duvalier Grade School. When an adolescent, he attended Hope Christian High School, on Duval 23, in Port-au-Prince. From 1995-1999 he studied theology at Port-au-Prince Christian Institute. Medit Sanon got married on December 12th, 1998, to Gerda Samedi, a young devoted Christian girl. In 1995 he started to work in God’s ministry by serving as a preacher for Christian Church of Cyvadier, where he became a pastor and led the church until 2002. From 2002-2009 he worked with various pastors of isolated churches, helping them develop spiritual growth. In 2009 he answered to God’s call by starting L’Eglise de Christ Pentecostal, part of Christian Faith Ministries. In March 8th, 2009 he started the church with seven members, and with God’s mercy and help the church has grown to approximately 300 members. Christian Faith Ministries grew further and as of 2011 two more churches were planted in the local mountains of Bainet, Jacmel, and Fort-Oge. With the support of The Tower of Refuge, in November 2010, Pastor Medit welcomed three orphan children into his home, and as soon as 2011 the number of children grew to 20. These children are those who gave birth to Pastor Medit’s most challenging ministry: The Bread of Life Orphanage. 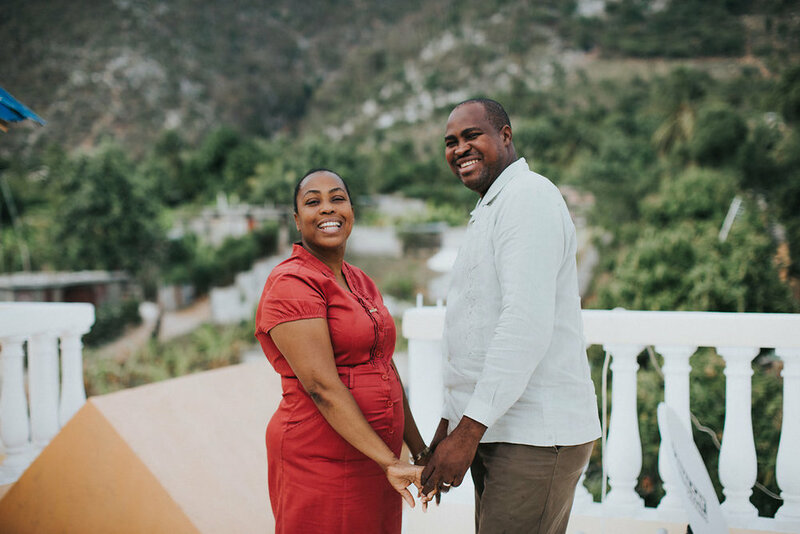 Faithfully committed to forward God’s kingdom, Medit Sanon and his wife, Gerda, lovingly devote themselves as parents, all while continually serving the church and the community.